Our FIRST offer is to help local business SPRING to life. We have a passion and love for promoting small business owners and excelling them to quickly see results of our low cost high impact marketing effort built on social engagement. For a limited time we are offering our Raw and Natural design skills with 100% natural ingredients to help promote your business. 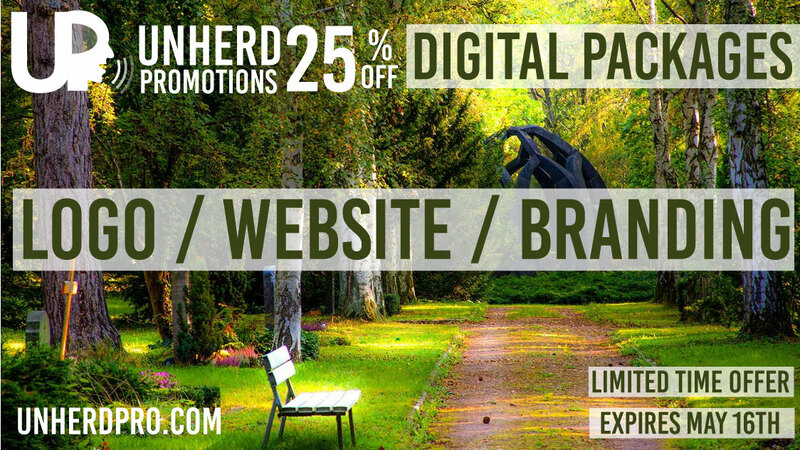 Our preset packages and pricing are available on our main page at www.unherdpro.com and booking your package by May 16th you can now save 25% off your entire invoice. We offer custom packages and contracts as well as managing contracts for websites and social media platforms. We also offer customized Brand Management packages. This is the first time we have offered a discount on our services and we are glad to offer this to all NEW clients! Stand out from the crowd because you only get one chance at a first impression!